Here is the list of the hotels near Montouliers. Book your hotel near Montouliers today, Tuesday 14 May for the best price, reservation and cancellation free of charge thanks to our partner Booking.com, leader in on-line hotels reservation. Below here is the list the 50 closest hotels of Montouliers, sortable according your criteria. You will find the position of these accommodations on the Montouliers hotels map. Located in Montouliers, Villa Montouliers features self-catering accommodation with a terrace and free WiFi. This self-catered villa features a garden and barbecue facilities. The villa has 3 bedrooms, a TV, an equipped kitchen, a washing machine and a bathroom with a shower. Carcassonne is 47 km from the villa, while Cap d'Agde is 49 km away. Beziers Cap d'Agde Airport is 36 km from the property. Located in Montouliers in the Languedoc-Roussillon region, Maison Piscine Village Vue Imprénable has a garden. This villa also features a private pool. Offering direct access to a terrace, the villa consists of a fully equipped kitchen and a TV. The villa offers a barbecue. Narbonne is 24 km from Maison Piscine Village Vue Imprénable, while Béziers is 31 km from the property. The nearest airport is Beziers Cap d'Agde Airport, 49 km from the accommodation. Featuring a seasonal outdoor swimming pool and barbecue facilities, Holiday home Argeliers offers accommodation in Argeliers with free WiFi and pool views. Guests staying at this holiday home have access to a terrace. This holiday home is fitted with 3 bedrooms, a satellite flat-screen TV, and a kitchen with a dishwasher and an oven. Hiking can be enjoyed nearby. Narbonne is 22 km from the holiday home. Beziers Cap d'Agde Airport is 47 km from the property. Boasting accommodation with a private pool, Maison De Vacances - Argeliers is set in Argeliers. Guests staying at this holiday home have access to free WiFi and a terrace. The holiday home includes 3 bedrooms and a kitchen with a dishwasher and a coffee machine. A TV is available. The holiday home offers an outdoor pool. A barbecue can be found at Maison De Vacances - Argeliers, along with a garden. Narbonne is 22 km from the accommodation, while Béziers is 29 km away. Beziers Cap d'Agde Airport is 47 km from the property. Jurio is situated in Argeliers and offers water sports facilities, a tennis court and barbecue facilities. This holiday home offers accommodation with a terrace. The holiday home comes with a TV. The kitchen has a dishwasher. Guests can relax in the garden at the property. Narbonne is 22 km from the holiday home, while Béziers is 29 km from the property. The nearest airport is Beziers Cap d'Agde Airport, 47 km from the property. Located in Argeliers, Gandia provides accommodation with a private pool and pool views. This holiday home offers barbecue facilities, a garden, as well as a terrace. Offering direct access to a balcony, the air-conditioned holiday home consists of 5 bedrooms and a fully equipped kitchen. The holiday home also features a washing machine and 1 bathroom with a bath. If you would like to discover the area, hiking is possible in the surroundings. Narbonne is 21 km from the holiday home, while Béziers is 28 km away. The nearest airport is Beziers Cap d'Agde Airport, 46 km from Gandia. Situated in Bize-Minervois, Holiday home Bize Minervois CD-1348 offers accommodation with a private pool and free WiFi. The accommodation is 50 km from Carcassonne. The holiday home includes 4 bedrooms and a living room with a TV. The holiday home offers an outdoor pool. Narbonne is 22 km from Holiday home Bize Minervois CD-1348, while Béziers is 34 km from the property. The nearest airport is Beziers Cap d'Agde Airport, 52 km from the property. Le Gîte du Peche is located in Bize-Minervois and offers a seasonal outdoor swimming pool. This holiday home offers accommodation with a terrace. Providing access to a patio with pool views, the holiday home consists of 1 bedroom and a fully equipped kitchen. A flat-screen TV with satellite channels is offered. The holiday home offers a barbecue. If you would like to discover the area, hiking is possible in the surroundings. Carcassonne is 49 km from Le Gîte du Peche. The nearest airport is Beziers Cap d'Agde Airport, 51 km from the property. Camping de la Cesse provides accommodation with free bikes and free WiFi, and is set in Bize-Minervois. A terrace with garden views is offered in every unit. The campsite offers a barbecue. If you would like to discover the area, cycling is possible in the surroundings and Camping de la Cesse can arrange a bicycle rental service. Carcassonne is 44 km from the accommodation, while Narbonne is 18 km away. The nearest airport is Beziers Cap d'Agde Airport, 39 km from the property. Located in Quarante, La Maison Quarante provides accommodation with an outdoor pool and a garden. Complimentary WiFi is provided. There is a fully equipped private bathroom with shower and free toiletries. The bed and breakfast offers a continental or buffet breakfast. La Maison Quarante offers a terrace. There is a shared lounge at this property and guests can go cycling nearby. Narbonne is 22 km from the accommodation, while Béziers is 27 km from the property. The nearest airport is Beziers Cap d'Agde Airport, 42 km from La Maison Quarante. Château d'Agel gite et chambres d'hôtes is a castle dating from the 12th century, located in Agel, in the Languedoc-Roussillon Region It is set in a 2-hectare park and offers a heated outdoor pool. It is 50 km from Carcassonne. Free WiFi is provided throughout the property and free private parking is available on site. The 3-storey chateau can be rented as a holiday home and features 7 bedrooms, 6 bathrooms, 3 living rooms, a fully equipped kitchen, a library, a work space, 2 dining rooms and a kitchen. Bed linen and towels are provided. Each guestroom comes with a private bathroom fitted with a bath or shower and a hairdryer. You can play tennis, table tennis and billiards at the property, and the area is popular for horse riding and hiking. Narbonne is 30 km from Château d'Agel Chambres d'hôtes, while Béziers is 38 km from the property. The nearest airport is Carcassonne Airport, 57 km from Château d'Agel Chambres d'hôtes. Featuring a garden of 5 acres, gite château d'Agel is a detached holiday home located in Agel in the Languedoc-Roussillon Region. The property boasts views of the garden and is 43 km from Carcassonne. Free WiFi is available throughout. This house features 3 living rooms, 7 bedrooms and 6 bathrooms. It also has a fully equipped kitchen and billards. Towels and bed linen are available in this self-catering accommodation. Other facilities at gite château d'Agel include a heated pool in the garden. You can play tennis and table tennis at the property, and the area is popular for horse riding and hiking. Narbonne is 21 km from gite château d'Agel, while Béziers is 29 km away. Carcassonne Airport is 46 km from the property. The Studio, 3 Rue St Jean is situated in Quarante. The accommodation is 22 km from Narbonne. This apartment features a living room and a fully equipped kitchen with an oven and a microwave. A flat-screen TV is available. A bicycle rental service is available at this property. Béziers is 27 km from the apartment, while Gruissan is 36 km away. The nearest airport is Beziers Cap d'Agde Airport, 42 km from The Studio, 3 Rue St Jean. La Sorga de Vida B&B is located in Quarante, approximately equidistant from from Béziers and Narbonne, both roughly 22 km away. The property offers proximity to the sea, mountains and vineyards. The guest rooms provide mountain views and private bathrooms with free toiletries. Breakfast is available on site. Narbonne and Beziers have an array of shops, bars and restaurants. Activities to be enjoyed in the area include visits to wineries, hiking and cycling. Featuring accommodation with a patio, Apartment The Old Donkey Market is situated in Quarante. This property offers access to free WiFi. This 1-bedroom apartment includes 1 bathroom fitted with a bath and a bidet. There is a seating area and a kitchen complete with an oven, a microwave and a toaster. Narbonne is 22 km from the apartment, while Béziers is 26 km from the property. The nearest airport is Beziers Cap d'Agde Airport, 42 km from the property. Located 47 km from Carcassonne, Le Pavillon offers accommodation in Bize-Minervois. You can relax by the seasonal outdoor pool in the 7000 metres² garden in fair weather and use the outdoor hot tub. A dishwasher, an oven and a microwave can be found in the kitchen. A flat-screen satellite TV is available. Other facilities at Le Pavillon include a barbecue, a boules court and a sun terrace. Narbonne is 20 km from Le Pavillon, while Béziers is 30 km away. The nearest airport is Beziers Cap d'Agde Airport, 50 km from the property, and Carcassonne Airport is 58 km away. Near the mysterious castles of the Cathar and the Canal du Midi, this 3-star hotel offers a relaxing and convivial atmosphere. It features a swimming pool and fitness centre, an extensive wine cellar and a gourmet restaurant in La Bastide Cabezac, situated between between the plains of Narbonne, Minervois and the Montagne Noir. The hotel is composed of rooms and suites, styled and decorated in a traditional regional décor. All of the rooms are equipped with modern en suite facilities and offer satellite TV and free Wi-Fi internet access. Wine enthusiasts, beginners or advanced, are invited to meet local wine growers and to sample the wines of the Languedoc-Roussillon region. Bed and Breakfast Mirepeisset Preferred hotel ! 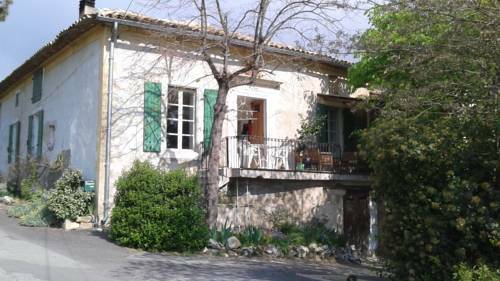 Located in the medieval village of Mirepeisset, 500 metres from Canal du Midi and near the Cesse River, La Souqueto offers B&B accommodation. This property features a roof terrace and a shared lounge area. All rooms offer views of the countryside and free Wi-Fi access. The private bathrooms are complete with a hairdryer, bath or shower and free toiletries. Breakfast including yoghourts, cereals, local cheese and pastries is served every morning. Restaurants, a bakery and a supermarket can be found a short walk away. Bicycle rental is possible on site and the property is set next to a lake and a river with small beaches. There is a bus stop 200 metres away and Narbonne is 17 km away. Featuring a private indoor jacuzzi and sauna set inside the suite, Les Charmes de Bailly is situated in Ouveillan, 49 km from Carcassonne. There is free WiFi throughout the property. This suite features a seating area, garden view and soundproofing. Offering a seasonal outdoor pool and sun terrace, there is also a 24-hour front desk at the property. An array of activities are offered in the area, such as cycling and hiking. The bed and breakfast also offers free use of bicycles. Restaurants can be found within 2.5 km of the property. Cap d'Agde is 46 km from Les Charmes de Bailly, while Narbonne is 13 km away. Beziers Cap d'Agde Airport is 33 km from the property. Free private parking is available on site. La Lucques Masabelle has free bikes, seasonal outdoor swimming pool and garden in Mirepeisset. With a terrace, the property also features a shared lounge. Guests can enjoy garden views. All units at the guest house come with a seating area. Every room is equipped with a private bathroom with a shower. At La Lucques Masabelle, all rooms are equipped with air conditioning and a flat-screen TV. A continental breakfast is served daily at the property. A variety of popular activities are available in the area around the accommodation, including cycling and fishing. Carcassonne is 50 km from La Lucques Masabelle, while Narbonne is 17 km from the property. Beziers Cap d'Agde Airport is 49 km away. Domaine de malvies is situated in Quarante. This holiday home offers barbecue facilities as well as a garden. The holiday home is equipped with 3 bedrooms, a fully equipped kitchen with a dishwasher, and 2 bathrooms with a bath. Narbonne is 22 km from the holiday home. Beziers Cap d'Agde Airport is 44 km from the property. Village Castigno in Assignan provides accommodation with a seasonal outdoor swimming pool, a garden and a terrace. Featuring a shared lounge, this property also provides guests with a restaurant. Guests can make use of a bar. The area is popular for cycling and hiking, in addition, bike hire and car hire are available at this hotel. Narbonne is 32 km from the hotel. The nearest airport is Beziers Cap d'Agde Airport, 50 km from the property. Guest accommodation Ginestas Preferred hotel ! Surrounded by 20 hectares of vineyards, this chateau provides B&B accommodation in Minervois, 19 km north of Narbonne. It also features an outdoor swimming pool and free Wi-Fi access in all the accommodation. The guest rooms at Chateau Le Vergel Authenac have a TV, their own bathroom and some of them are air conditioned. Self-catering apartments with a seating area are also available. Breakfast is served daily in the ground floor dining room. During the summer, guests can also request set menus. Chateau Le Vergel Authenac is 3 km from the Canal du Midi and the Musée de la Chapellerie (hat museum). Bezièrs is 30 km away. Free private parking is available on site. Holiday home Mailhac *LI * is situated in Mailhac. Guests staying at this holiday home have access to a fully equipped kitchen. Carcassonne is 41 km from the holiday home, while Narbonne is 19 km away. The nearest airport is Beziers Cap d'Agde Airport, 42 km from Holiday home Mailhac *LI *. Guest accommodation Sallèles-dʼAude Preferred hotel ! Offering a seasonal and heated outdoor pool and a children's playground, Résidence Odalys Côté Canal is set in Sallèles-d’Aude in the hamlet of Le Somail, 46 km from Carcassonne. Cap d'Agde is 49 km from the property. Free WiFi is available throughout the property. The pet-friendly accommodation is air conditioned and comes with a seating and dining area. There is also a kitchenette, equipped with a microwave, refrigerator and stovetop. Résidence Odalys Côté Canal also includes a sauna for an additional charge, a boules pitch, a fitness centre free of charge and a volleyball court. Guests can enjoy a drink at the on-site bar. Narbonne is 12 km from Résidence Odalys Côté Canal. The nearest airport is Rivesaltes Airport, 59 km from Résidence Odalys Côté Canal. Free private parking is available on site. Bed and Breakfast Aigues-Vives Preferred hotel ! Situated in Assignan, Villa - Saint-Jean-De-Minervois offers a private pool. This villa has a garden. With free WiFi, this 3-bedroom villa features a TV, a washing machine and a kitchen with dishwasher. The villa offers a barbecue. A terrace is available on site and horse riding can be enjoyed within close proximity of Villa - Saint-Jean-De-Minervois. Narbonne is 34 km from the accommodation. The nearest airport is Beziers Cap d'Agde Airport, 56 km from the property. Situated in Ouveillan, Le Domaine de Fraissinet provides accommodation with free WiFi and access to a garden. There is a fully equipped private bathroom with shower and a hair dryer. A continental breakfast is served each morning at the property. The bed and breakfast offers an outdoor pool. Narbonne is 16 km from Le Domaine de Fraissinet, while Béziers is 24 km from the property. The nearest airport is Beziers Cap d'Agde Airport, 42 km from the property. Located in Ginestas in the Languedoc-Roussillon region, Bâteau Mariance provides accommodation with free WiFi. Accommodation features a seating area with a satellite flat-screen TV and DVD player, as well as a fully equipped kitchenette with a microwave and a dining area. A toaster and coffee machine are also available. Guests at the bed and breakfast can enjoy a continental breakfast. Bâteau Mariance offers a barbecue. The accommodation features a terrace. Narbonne is 14 km from Bâteau Mariance, while Béziers is 37 km away. The nearest airport is Beziers Cap d'Agde Airport, 55 km from the bed and breakfast. Offering a year-round outdoor pool, La maison des escaliers is a holiday home situated in Le Somail next to the Canal du Midi. La maison des escaliers features free WiFi. Several restaurants can be found in the area. Carcassonne is 45 km from La maison des escaliers, while Cap d'Agde is 49 km from the property. The nearest airport is Beziers Cap d'Agde Airport, 37 km from the property. Located in Le Somail, on the banks of the canal du midi, in the Languedoc-Roussillon Region, 45 km from Carcassonne, Le Neptune boasts a terrace and views of the mountains. A terrace or patio are featured in certain rooms. The rooms are equipped with a private bathroom. You will find a tour desk at the property. Guests can enjoy various activities in the surroundings, including horse riding and cycling. The bed and breakfast also offers bike hire. Cap d'Agde is 50 km from Le Neptune, while Narbonne is 12 km away. The nearest airport is Carcassonne Airport, 49 km from Le Neptune. L'amigeste is set in Pouzols-Minervois and offers barbecue facilities. Featuring free WiFi, the property also has a garden and a terrace. The holiday home has a satellite flat-screen TV. A dishwasher and an oven can be found in the kitchen. Fishing and hiking can be enjoyed nearby. Carcassonne is 43 km from the holiday home, while Narbonne is 22 km away. The nearest airport is Beziers Cap d'Agde Airport, 54 km from the property. Set in Ginestas in the Languedoc-Roussillon region, L'Orchidée offers accommodation with free WiFi. A continental breakfast is available every morning at the property. Narbonne is 17 km from the bed and breakfast, while Béziers is 35 km away. The nearest airport is Beziers Cap d'Agde Airport, 53 km from the property. Situated in Saint-Marcel, Holiday Home La Maison du Verger features a private pool. The property is 14 km from Narbonne, and private parking is available. This holiday home has a fully equipped kitchen, a dining area and a TV. Guests can relax in the garden at the property. Béziers is 37 km from the holiday home, while Gruissan is 33 km from the property. The nearest airport is Beziers Cap d'Agde Airport, 61 km from Holiday Home La Maison du Verger. Featuring barbecue facilities, Holiday Home Chemin de Mandosse provides accommodation in Saint-Marcel with free WiFi and pool views. Guests staying at this holiday home have access to a fully equipped kitchen. The holiday home is equipped with a satellite TV. The holiday home offers an outdoor pool. Narbonne is 14 km from Holiday Home Chemin de Mandosse, while Béziers is 37 km away. The nearest airport is Beziers Cap d'Agde Airport, 61 km from the accommodation. Gites Sud France is set in Pouzols-Minervois. Complimentary WiFi is provided. Carcassonne is 43 km from the holiday home. Beziers Cap d'Agde Airport is 54 km from the property. Maison de Grandmere is situated in Pouzols-Minervois and offers barbecue facilities. This holiday home also features free WiFi. The 2-bedroom holiday home comes with a living room with satellite TV, and a fully equipped kitchen. Carcassonne is 43 km from the holiday home, while Narbonne is 22 km away. Beziers Cap d'Agde Airport is 54 km from the property. Maison De Vacances - Sainte-Valière is situated in Sainte-Valière. Guests have a private terrace. The holiday home is fitted with 4 bedrooms, a TV and a fully equipped kitchen that provides guests with a dishwasher. The holiday home offers an outdoor pool. Barbecue facilities are provided. Carcassonne is 45 km from Maison De Vacances - Sainte-Valière, while Narbonne is 21 km from the property. The nearest airport is Beziers Cap d'Agde Airport, 53 km from the property. Located in Cébazan in the Languedoc-Roussillon region, Chez Von features a patio. Complimentary WiFi is featured. This holiday home has 2 bedrooms, a fully equipped kitchen, a dining area and a flat-screen TV. The holiday home also includes a seating area as well as 2 bathrooms with a bath and a shower. Narbonne is 30 km from the holiday home. Beziers Cap d'Agde Airport is 40 km away. Lo Gal is located in Sainte-Valière and offers a shared lounge and a bar. This bed and breakfast also has free WiFi. This bed and breakfast is fitted with a fully equipped kitchenette, a dining area and a satellite flat-screen TV. A continental breakfast can be enjoyed at the property. Carcassonne is 45 km from the bed and breakfast. The nearest airport is Beziers Cap d'Agde Airport, 53 km from Lo Gal. Located in La Caunette, Maison De Vacances - La Caunette provides accommodation with a terrace and free WiFi. This holiday home offers barbecue facilities. The holiday home includes 3 bedrooms, a kitchen with a dishwasher and an oven, as well as a coffee machine. A TV is featured. The holiday home offers an outdoor pool. Guests can also relax in the garden. Carcassonne is 50 km from Maison De Vacances - La Caunette. The nearest airport is Castres-Mazamet Airport, 62 km from the property. Below here is the hotels map of Montouliers. Names and details of Montouliers hotels can be shown on the map clicking on the prices icons.